During three decades of accountability based on standards and high-stakes testing at the state level and another decade-plus of federal oversight of that accountability, the overwhelming evidence has exposed accountability as a failed network of policies in education reform. Education reform in the U.S. now faces a potential watershed moment in which setting aside accountability and embracing a school reform agenda that acknowledges social and educational inequity offer a promise of success that accountability, standards, and high-stakes testing have failed to achieve. 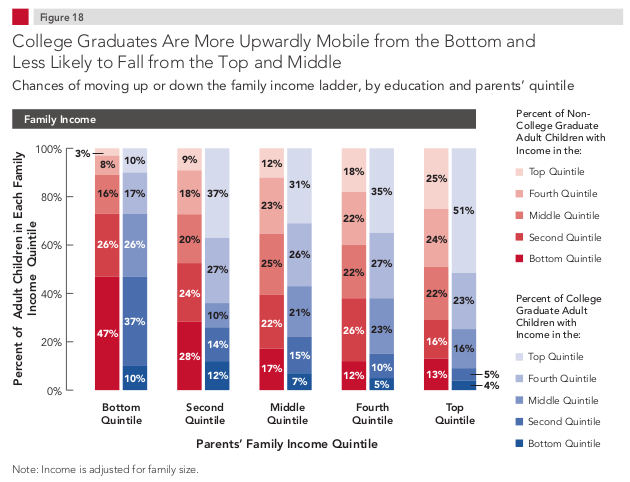 The third and final context for understanding an alternative to accountability-based education reform is the rise in the working poor in the U.S. and the increase in part-time work that leaves many working-poor families with adults holding multiple jobs but not having access to health care or retirement benefits. Food security: Children in poverty face food insecurity, but also suffer from access to low-quality foods (for example, fast food). Nutrition during pregnancy for women in poverty, early childhood nutrition, and nutrition during school ages are all essential elements for providing children the equity of opportunities that schools could provide. Health care: Children and families in poverty tend to avoid needed preventative health care, and then are forced to seek out the least economically efficient avenues for receiving basic and urgent care, emergency rooms. If public education is to transform society and the lives of children, all children must be guaranteed the health (and nutrition) that children in affluence experience. 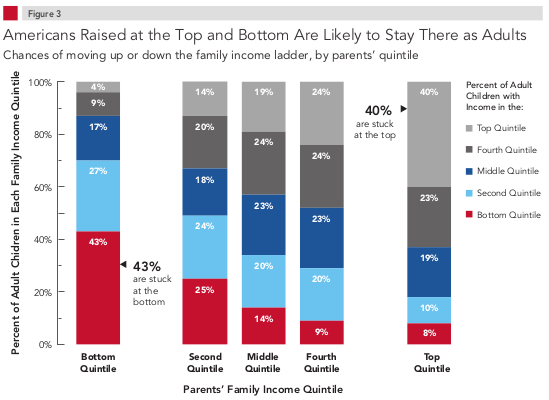 Stable work with rewarding salaries: Children and families in poverty often experience instability in the work of the parents and their homes since impoverished workers are competing with each other for entry-level and transient jobs. A stable workforce and increasing full-time jobs with benefits provide the basis upon which education can succeed where it has traditionally failed. Certainly, many other social policies need to be addressed, but the foundational point here is that social inequity currently overwhelms public education in the U.S. A first step to education reform is social reform. As well, the public in the U.S. currently supports seeking greater equity: “The Pew Research Center has found that some 90 percent of Americans believe that the government should do everything it can to ensure equality of opportunity” (NYT February 16, 2013). What is lacking is the political will to make commitments to social equity of opportunity for all in the U.S.
End accountability based on standards and high-stakes testing: A growing body of research has shown that the accountability era has failed: “the absence or presence of rigorous or national standards says nothing about equity, educational quality, or the provision of adequate educational services, there is no reason to expect CCSS or any other standards initiative to be an effective educational reform by itself” (Mathis, 2012). A first and essential step to a new vision of education reform is to end the accountability era by shifting away from focusing on outcomes and toward attending to the conditions of teaching and learning—with an emphasis on equity of opportunity. Implement a small and robust measurement system: As Stephen Krashen and others have argued, the existing National Assessment of Educational Progress (NAEP) assessment system in the U.S. provides a more than adequate foundation upon which the U.S. can develop a systematic and limited process for administering tests to random samples of students in all states and gathering descriptive data on the effectiveness of schools. This new system must be low-stakes and should dramatically reduce the funding committed to testing in the U.S. Scale back and eventually end tracking: The most accurate criticism of U.S. education is that it has historically perpetuated and currently perpetuates social inequity. Tracking remains grounded in data that reflect out-of-school influences and tends to funnel impoverished students into narrow academic settings and affluent children into rich educational experiences. Focus on equitable teacher assignments: The focus on teacher quality within the accountability movement has tended to mislead the public about the importance of teacher quality connected to measurable outcomes while ignoring that impoverished, minority, and special needs students along with English language learners disproportionately are assigned to inexperienced and un-/under-certified teachers. Education reform committed to equity must monitor teacher assignments so that no students experience inequitable access to high-quality, experienced teachers. Decrease bureaucracy of teacher licensing and increase academic quality of education degrees: Another legitimate criticism of traditional education is that teacher licensing has many flaws built into the bureaucracy of attaining a teaching certificate. Certification and accreditation mandates and systems tend to fail educators, and thus students. However, as in other fields, the quality of education degree programs still offer a tremendous promise for preparing teachers well for the teaching profession. Honor school and teacher autonomy: Individual schools and classrooms vary dramatically across the U.S. School autonomy and teacher professionalism are the greatest sources of understanding what populations of students need. The current move toward national standards and tests is inherently a flawed concept since student needs in Orangeburg, SC, are dramatically different than student needs in Seattle, WA. Replace accountability with transparency: High-stakes accountability has not only failed to produce outcomes promised by its advocates, but also has created negative unintended consequences (cheating scandals, for example). A more promising approach to insuring that a public institution provides that public with needed services is to require schools to be transparent: identifying educational needs and providing evidence for practices being implemented to meet those needs. Address wide range of issues impacting equity—funding, class size, technology, facilities: Moving away from accountability and toward equity is a shift in the goals and then standards against which education policy is evaluated. Issues of funding, class size, technology, and facilities must be addressed to assure all children experience an equity of opportunities in every school. Abandon ranking: Education in the U.S. has suffered the negative consequences of ranking for over a century. Ranking nearly always distorts data and typically fails goals of equity. Instead of ranking, education should honor how conditions of learning match clearly identified learning goals. Rethink testing and grades: Tests and grades have been the foundation upon which education in the U.S. rests, but both tend to distort education seeking equity, autonomy, and democracy. Rich feedback that challenges learners and contributes to learning, however, is the lifeblood of learning. Practice patience: Crisis and urgency have characterized the accountability era, and both states have contributed to the failure of accountability. Teaching and learning are complex and unpredictable, requiring political and public patience for reaching the goals that everyone seeks. The points identified above are not intended to be exhaustive, but the evidence is clear that education reform has been on the wrong path for three decades. Accountability has failed, but that experiment has exposed a wealth of data that should inform a new vision of the need to address social and educational inequity through policies that fulfill the promises driving our democracy and our commitment to universal public education. Read more from P.L. Thomas.